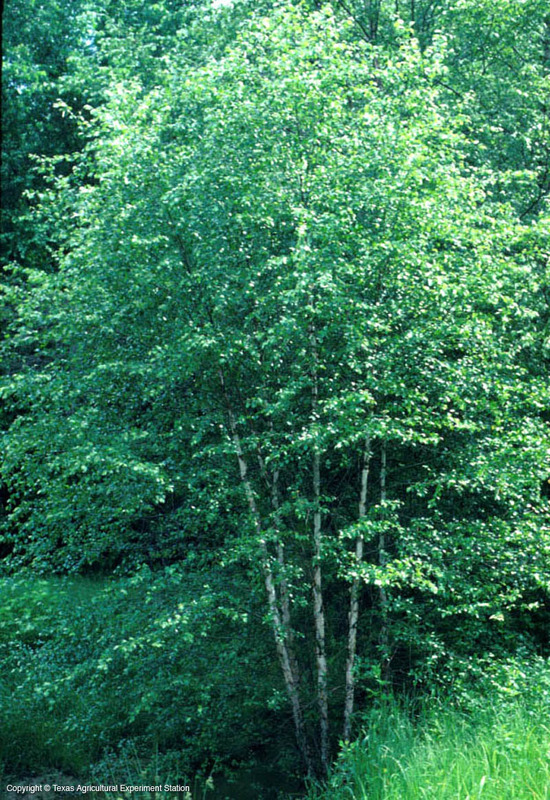 River Birch's distinguishing characteristic is its outstanding peeling cinnamon-colored bark. It grows in the wetlands of the Pineywoods and the Post Oak Savannah and is best adapted to moist soils. Although it is extrememly heat tolerant, in dry years it will shed inner leaves. It prefers an acid soil, becoming chlorotic in high pH situations. The fine textured foliage can turn a good yellow in autumn but soon drop. The trunk is often divided into several large arching branches close to the ground, and the pyramidal growth form is graceful in youth. 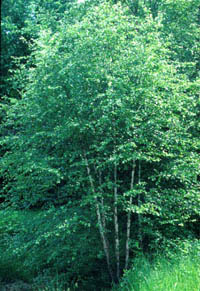 River birch ranges from 20 to 30 tall, although some grow to 90 feet. 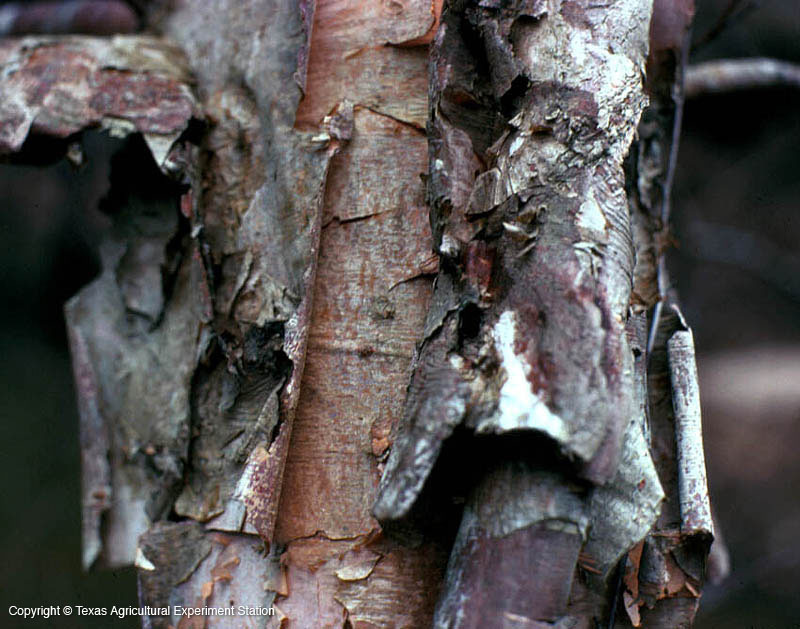 It is usually not bothered by insects or diseases, but it is still a relatively short-lived tree.